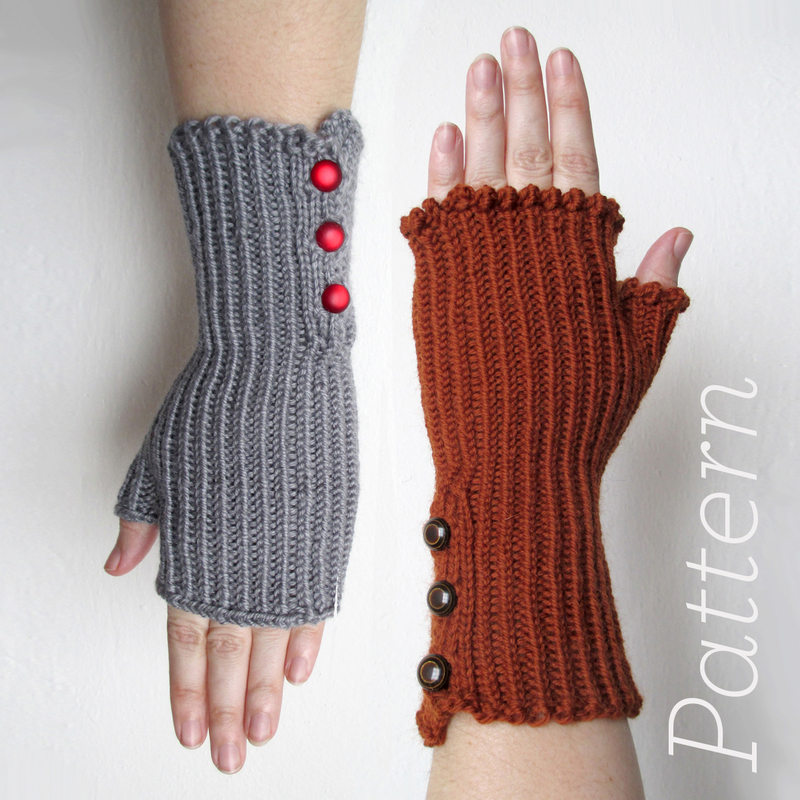 These twisted rib fingerless mitts are simple but have added detail that let you make them your own. The ribs expand when worn to resemble corduroy and have a working button flap at the cuff. The top edge can be knit with either a flat edge or a fancier 2-stitch picot edge. They are knit both flat and in the round. Needles: US 4 (3.5 mm) double pointed needles – set of 4 recommended. Optional straight or circular needles for flat cuff section in same size. Instructions include full written directions. One project that took up a large chunk of my spring was the knitting of Even Flow by Joji Locatelli, a present for my friend Sonya. We picked this pattern because it will work both dressed up or down and has a timeless quality that should look good for many years. We went to one of my favorite yarn stores, Eat Sleep Knit, to find the perfect yarn. We chose Madelinetosh Tosh Sport in Gossamer, a beautifully subtle warm neutral. I would highly recommend this pattern. It is skillfully written and is created all in one piece, avoiding stitching together pieces at the end by picking up stitches directly on sections you’ve already knit, or holding live stitches until you can knit pieces to connect them. The texture pattern on the back and part of the side sections is a very easy pattern to memorize and looks more complex than it is. You can tell that the pattern designer took time and care in making the process as simple as possible and a joy to knit!